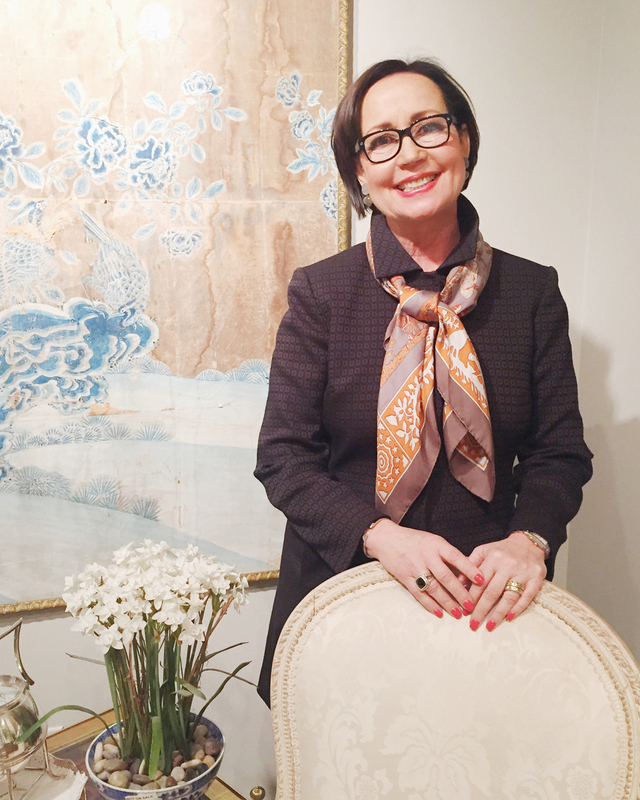 After completing the Fine and Decorative Arts graduate program at the Christie's School in London, Ms. Barfield originated several lecture series seminars in Dallas to study the evolution of the European Decorative Arts and the history of antique furnishings. Based upon the Christie's model, these seminars featured lecturers from Christie's as well as the Wallace Collection, the Victoria and Albert Museum, and the National Gallery of Art. In conjunction with the lecture series, Ms. Barfield sponsored educational trips to Virginia, Washington and England to study the influence of the Great Houses of Europe on American decorative style. Utilizing the knowledge she gained from both living and studying abroad, Ms. Barfield has been taking individual clients on private buying trips to England and the European continent for over thirty years. Ms. Chambers, ASID, RID, is recognized as one of the top interior designers in Dallas by D Home for twelve years and running. Her work has earned her state and national awards from the American Society of Interior Designers and she has been published in over 20 industry magazines, including Southern Home, Traditional Home, Texas Home & Living, and Better Homes & Gardens. Ms. Chambers’ experience, innate talent, and studies of the classics of Europe enable her to confidently mix different styles, techniques, and cultures. Her residential work has spanned a wide variety of styles – from modern high-rise living to Mediterranean escapes to elegant Country French homes. Sought after by clients for the spirit of collaboration that she brings to each project, Ms. Chambers believes that the best results come from understanding her clients and sharing in the creative process. ©2016 tour-decor.com, all rights reserved.